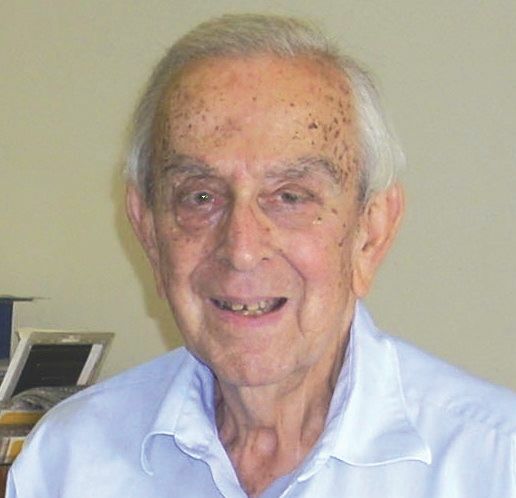 One of the most well regarded links with the early days of stamp (and coin) collecting and dealing in the U.S. is alive and well today—Burt Doling. Burt recently celebrated his 90th birthday amid more than 70 friends and relatives, and still operates his store in Sherman Oaks, Calif., (albeit a half a day on doc’s orders) five days a week buying and selling large and small lots, and ALWAYS ready to relate many stories about his life and times. Still sharp as a tack, well-read and traveled, a 64-year member of the ASDA (which didn’t count the years he was in the Army during World War II). Burt has experienced a full and varied life to which few others can attest. His maternal great grandparents left Eastern Europe in the mid 1820s and settled in Ireland (where Burt still has many relatives). His grandparents left Ireland in 1855 during one of the last potato famines, ending up in Hudson, N.Y. After Burt’s birth in 1921, his parents moved the family to Los Angeles (his father was a jeweler and his mother a lawyer) until moving back to Albany, N.Y., in 1933. Burt as a youngster grew very interested in stamps, buying and selling with his schoolmates and other friends, and working for J. Merritt Brundige Stamp Co. in Albany after school work and on weekends. Summers were spent traveling to and from Manhattan for Brundige on the New York Central (and a hotel room with per diem), to acquire knowledge, experience and stamp contacts. In 1935, at the age of 15, Brundige made Burt his official buyer in N.Y. for stamps for their inventory, especially for the first British “omnibus” issues (there were no Crown agents as yet) because of this knowledge and access. He was installed by Brundige in a booth at TIPEX in 1936 from which to operate. This arrangement turned out to be very lucrative. He got to know quite well Harry Lindquist, Jacques Minkus (who offered Burt the job of overseeing Minkus’ department store stamp concessions in the Northeast (Gimbel’s, Macy’s, etc), Herman “Pat” Herst (who acquired his nickname because he was born on St Patrick’s Day—as was Burt and later a bridge partner), Col. Gordon Ustike, Peter Keller (the first Executive Director of ASDA and who ran the shows at the 71st Regiment Armory), and Irwin Weinberg (who at the age of 12 was buying and selling stamps out of his vest pocket in New York and with whom Burt partnered profitably on some lots) and many others. Burt spent a lot of time with the Nassau St. dealers and the “Uptown” dealers on 42nd Street near Times Square as well, especially Robert Siegel at 505 Fifth Ave.
Omaha Beach, Normandy, in June 1944. In the Spring of 1945, while with advance troops near the German border with Czechoslovakia, he and another staff sergeant (not quite sure of their location) accepted the surrender of a German major and his men (who wanted warm food and clothing the USA would provide and NOT to surrender to the nearby Russians who would have killed them). Afterwards, Burt was told by his regiment commander it was okay to go socialize with other foreign troops nearby but not to cross into Russian held territory. So Burt and his staff sergeant buddy went into a nearby town, looking for and fi nding a bar with Czech pilsner, and getting along famously with the Russians who were ensconced there. His buddy was also a stamp collector and they found a printing shop up the street, proceeding to have a stock of German occupation stamps overprinted “USA in CSR, “ including blocks, inverts and covers as well! These “locals” are still believed to be in the BOB of Michel catalogues today! After the war, Burt reopened his Boston shop (now located next door was Daniel Kelleher and Company), married his lifelong sweetheart, Ginny, and had three children and eventually eight grandchildren. His fi rst son, Robert, was born in the same Boston hospital where Burt met Ted Williams, also there for his first born). Burt and family moved back to Los Angeles in 1947, setting up shop at 228 West 4th Street which, with 18-odd dealers within three blocks became known as the Nassau Street of the West. Col. Lawson Nagle occupied one of those stores at 4th St. and Spring, while next door was Superior Stamp Co., owned by Harold and Marshall Goldberg. Burt was soon in charge of the bourse at major shows in the Biltmore and Ambassador Hotels. He loves to tell a story about a show where Bob Siegel attended from New York and Lawson Nagle said that all three of them must go down to Mexico; Burt said he had a young family and couldn’t do it; so Lawson put his arms around both and said not to worry, that Bob would pay for all of it! In 1950, Burt moved his family out to the San Fernando Valley, in Sherman Oaks, the same location at which he remains, having become the oldest continuous business in Sherman Oaks. In 1959, he befriended walk-in youngster Ron Gillio, engaged in selling and then buying back rolls of new design U.S. pennies (small dates) with him and launching Ron on a career where today he is General Chairman/President of the Long Beach Coin, Stamp and Collectibiles Exposition, and has stores in Paris, Rome, London, Luxembourg and Hong Kong. In 1960, Burt sold to Dr. Jerry Buss (owner of the Los Angeles Lakers today) a pristine 1794 US silver dollar for $25,000. A frequent customer throughout the 60s through the 90s was Tom Selleck. Burt is an avid bridge player, and has competed a few times across the table with Bill Gates. In the late 1970s, Burt, as a national board member of the ASDA (and previously head of the ASDA in California, back when ASDA had regional directorates) along with Bob Driscoll, helped hijack Joe Savarese from Parker Bros. (Monopoly and other board games) to ASDA to become Executive Director. A quick stop at Burt’s store easily stretches to an hour or more, even as customers come and go, as the stories go on and on! This rather lengthy summary of Burt’s career and life to date, and his knowledge, experiences and exploits barely scrape the tip of the iceberg, but illustrate how deserving Burt is of remembrance as a vital link between past and present. A true ICON and a true gentleman! 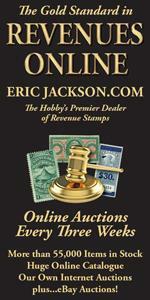 We welcome him to the American Stamp Dealer Hall ofFame.